The Capital One® Quicksilver® Cash Rewards Credit Card is ideal for people who travel outside the U.S. and want to benefit from a decent cash back card with a $0 annual fee. This card is also a good option for people looking to use this card for more than cash back since there is 0% intro on purchases for 15 months and 0% intro on balance transfers for 15 months with 16.24% - 26.24% (Variable) APR after the intro period. This isn’t the longest intro period, but it can be beneficial for those looking to use this cash back card for other purposes like transferring debt or making new purchases without racking up interest. If you’re someone with fair, bad or limited credit, you won’t have much luck qualifying for this card and may be better off with other cash back cards. Also, if you want a longer 0% intro period check out low interest cards. 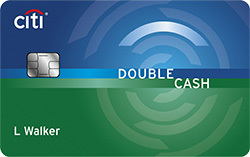 Most cash back cards charge a foreign transaction fee ranging from 2% to 5%, but this card has none. Therefore, it’s great for traveling outside the U.S. You’ll be able to earn cash back on all purchases without paying a foreign transaction fee. This card has a sub par cash back rate: 1.5% Cash Back on every purchase, every day. This is lower than ideal, and we consider cards like the Citi® Double Cash Card – 18 month BT offer which Earn 2% cash back on purchases: 1% when you buy plus 1% as you pay the standard for cash back cards. You can find cash back cards with higher cash back rates on all purchases, or in select categories. To gain the most value from the Capital One® Quicksilver® Cash Rewards Credit Card, use it for all purchases since you earn 1.5% Cash Back on every purchase, every day. This is a great way for you to maximize cash back on all spending. If you travel outside the U.S., it can be beneficial to use this card since unlike some other cash back cards with foreign transaction fees, there is none. Meet the requirements of the New Cardmember Offer to earn a one-time $150 cash bonus after you spend $500 on purchases within 3 months from account opening. 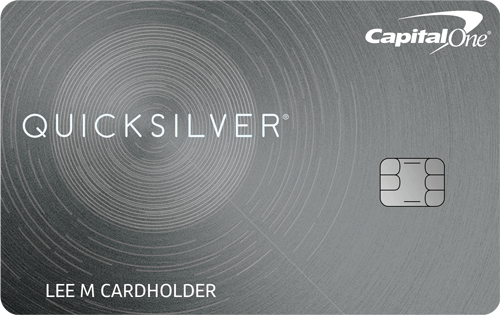 The Capital One® Quicksilver® Cash Rewards Credit Card offers 1.5% Cash Back on every purchase, every day. This is a decent flat-rate, and although lower than the average of 2%, it can still earn you a good amount of cash back. Cash back can be redeemed for a statement credit or check with the option to set up automatic redemption at a set time each year or when a specific threshold ($25, $50, $100 or $200) is met. Other redemption options include for previous purchases, gift cards, and more. There is a New Cardmember Offer: Earn a One-time $150 cash bonus after you spend $500 on purchases within 3 months from account opening. The Capital One® Quicksilver® Cash Rewards Credit Card and the Capital One® QuicksilverOne® Cash Rewards Credit Card are similar cash back cards with the same rewards rate and no foreign transaction fee, but they differ in credit required, annual fee, 0% intro periods, and New Cardmember Offers. The Capital One® Quicksilver® Cash Rewards Credit Card is for people with excellent/good credit, and if you aren’t in that credit range you may have a better time qualifying for the Capital One® QuicksilverOne® Cash Rewards Credit Card for those with average/fair/limited credit. The Capital One® QuicksilverOne® Cash Rewards Credit Card has a $39 annual fee, while the Capital One® Quicksilver® Cash Rewards Credit Card has a $0 annual fee. This isn’t a big difference, but if you don’t want to pay an annual fee, the Capital One® Quicksilver® Cash Rewards Credit Card is the better choice. While the Capital One® QuicksilverOne® Cash Rewards Credit Card lacks any 0% intro periods, the Capital One® Quicksilver® Cash Rewards Credit Card offers 0% intro on purchases for 15 months and 0% intro on balance transfers for 15 months (after the intro period, 16.24% - 26.24% (Variable) APR applies). Therefore, the Capital One® Quicksilver® Cash Rewards Credit Card is a good option for people looking to transfer a balance or make a large purchase. In regards to New Cardmember Offers, the Capital One® Quicksilver® Cash Rewards Credit Card has a one-time $150 cash bonus after you spend $500 on purchases within 3 months from account opening, while the Capital One® QuicksilverOne® Cash Rewards Credit Card has no bonus. 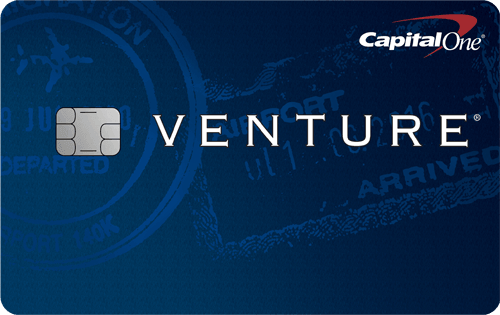 The Capital One® Quicksilver® Cash Rewards Credit Card (after the intro period, 16.24% - 26.24% (Variable) APR applies) is a good $0 annual fee card for people with excellent/good credit. This card earns you a decent cash back rate and is great to use when traveling abroad. American AAdvantage credit card review: Is it worth $95?